Keisha Lance Bottoms, Mayor of Atlanta, has decided that her city will no longer aid in the efforts made by ICE to uphold United States immigration laws. Mayor Bottoms signed an executive order, and proudly displayed in a tweet her defiance to greater federal law. Under her watch, Atlanta will no longer cooperate with ICE efforts to catch criminals across the country. “We will not be complicit in an immigration policy that intentionally inflicts misery on vulnerable populations,” suggested Bottoms. This vulnerable population includes gang affiliates, murderers, rapists, and child traffickers among other criminal actors. The Mayor has willfully portrayed that when it comes to criminals, if you are a foreigner, Atlanta law enforcement will grant you special privileges. Meanwhile, American criminals are stripped from their families and face the full extent of judicial repercussions. Where you come from certainly matters in Atlanta, and it is best if you are not American. “Atlanta has permanently ended its acceptance of ICE detainees and will immediately transfer all those remaining out of our City jail,” tweeted Ms. Bottoms. An ICE representative confirmed that detainees would indeed be transferred swiftly. Mayor Bottoms suggested at a recent news conference that Atlanta being, “the birthplace of the civil rights movement we are called to be better than this,” The Atlanta Journal-Constitution reports. According to the Mayor, immigration enforcement is a civil rights issue. This is a rather interesting interpretation of civil rights. For civil rights are granted under the law of the land. In order to fall under that umbrella, an individual must then be a registered citizen under this law. American’s do not have the same civil rights in China given to Chinese populous, nor in Brazil given to the Brazilian populous, nor any other country for that matter. Ms. Bottom’s use of civil rights activism is thus not shared by any other nation, and contradicts the very definition of civil rights. Atlanta has cleared their cells of ICE detainees, with only 5 remaining. 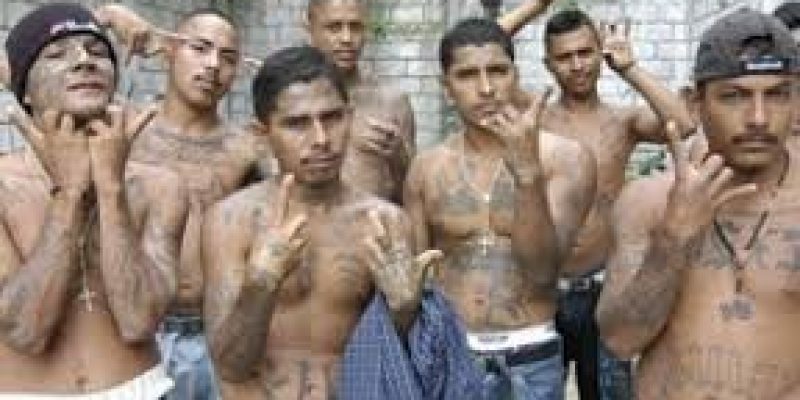 The new executive order is sure to transfer these last few, and restrict Atlanta law enforcement from detaining illegals for the sake ICE efforts in the future. Previous Article Everybody Understands That JBE’s Teacher Pay Raise Demand Is A Union Payoff, Right?